This Japanese bar’s selling point is to provide good food to customer as a very cheap price, it means all of menu is 298 yen (3.5$). Moreover, all of cuisine is amazing taste for this price, especially Yakitori (This is grilled chicken. Chunks of chicken and vegetable are arranged on bamboo skewers, boiled over a charcoal) is good. This Japanese bar is chain restaurant, so you can find easily! If you come to Japan, you will see one of the signboard with “一休” displayed everywhere. This signboard is written “This is the cheapest Izakaya in Tokyo”. I am not sure whether this saying is correct, but it is still so cheap. Especially, Monday has a “一休” day in this Izakaya, at that time all of food and drink price discount the half price compared to normal. If you want to go for a drink cheap price, we strongly recommend to you. 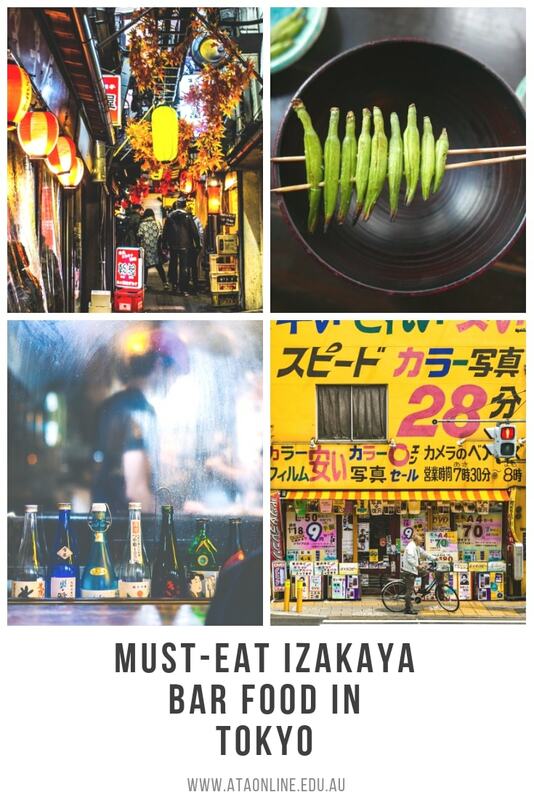 This Izakaya’s theme is to get the customer feel “Showa vibe”. This is one of the Japanese period name, at that time entire mood was retro. This Izakaya want customer to go through the Showa vibe, because we cannot experience forever. That is why, all of drink and cuisine menu is based on the Showa period. No, worries, you will enjoy both one of the Japanese retro culture and awesome food. This Izakaya is also so cheap. You can find this restaurant easily, this is also chain. ハーモニカ横丁（Harmonica street）, 呑んべえ横丁（Nonbe street）Literally meaning is drunk people street , 思い出横丁　（Omoide street）, ホッピー通り（Hoppe street）It means wheat soda(one of Japanese alcohol) street. These are even only the beginning. There are bunch of “Drink street” in Japan, just Tokyo even have more than 10 “Drink Street” which is known as local area for even Japanese people. There is not only so good elaborate appetizers food that owner is committed to the way to cook at each bar that is definitely awesome, because you just eat that restaurant but also lively mood, this probably make you feel enjoyable. Therefore, I strongly recommend that you go to there, if you want to make Japanese friends, feel more Japanese vibe and eat good food. These factors would make your Tokyo journey more fun. If you have opportunity to drink with them, you should say “Kanpai” (it means cheers in English word), this magic word makes you guys get along with each other early for sure. Until now, I mainly introduced local and cheap Japanese bar, but of course, there are not only these kind of bar in Japan. There are still different kind of restaurants in Japan, such as fancy and unique. Unique means that this is not only bar but also it is including other concepts such as animal, shooting, Hackers, Ninja and Planetarium and so on. This bar is based on “Japanese Ninja”( This is the kind of spy in Japanese period), there are some fascinate “Ninja” show and food is related to Ninja like a “Shuriken” (Throwing star) and appearance. Many famous person also visit here, their reflection also quite good. This site is very helpful to know about this bar. I guarantee you really like it. A picture of worth a thousand of words. In here, customer enjoy drinking and eating good food with penguin. If this sentence gets your interest, you should jump into this site. Both of bar are so popular, make sure you book in advance! If you want to go to the high rank, high quality Japanese bar, you should go to restaurants which are published in Michelin guide. There are some Japanese bars which have the Michelin star in Tokyo, I am going to introduce these kinds of Japanese bars in Tokyo. This bar is based on Japanese food. However, there are Healthy Menu Options, Vegetarian Menu Options, Religious Menu Options, so it is good for foreign people. Every menu is very high quality, especially shabushabu is the one of the most popular menus, when you go to there you have no choice but to eat this. When you want to go there, please search, please copy and paste Japanese written above here. In here, you can enjoy every Japanese food such as Sushi, Tempura, Sake, Sashimi whatever you want. Especially this Seasoned rice is very popular from many customers. The more importantly if you get to there, I strongly recommend that you drink Japanese sake. These two high rank restaurants are more likely to prepare a good quality Sake to match for depends on food compare to chain bar. Therefore, asking recommendation is the best way to enjoy drinking Sake. This is the end of introducing Japanese bars, however, this lists what I write in here are the only part of Japanese bar. Therefore, I do not want you forget exploration, looking for the good place for yourself is also one of the ways to enjoy traveling.